A former firefighter in upstate New York is suing the local fire department for hosing down his “$2,200” drone (we found the drone listed for $949). A man named John Thompson says he wants the Coldenham Fire department to reimburse the cost of his drone, which was intentionally destroyed by them. 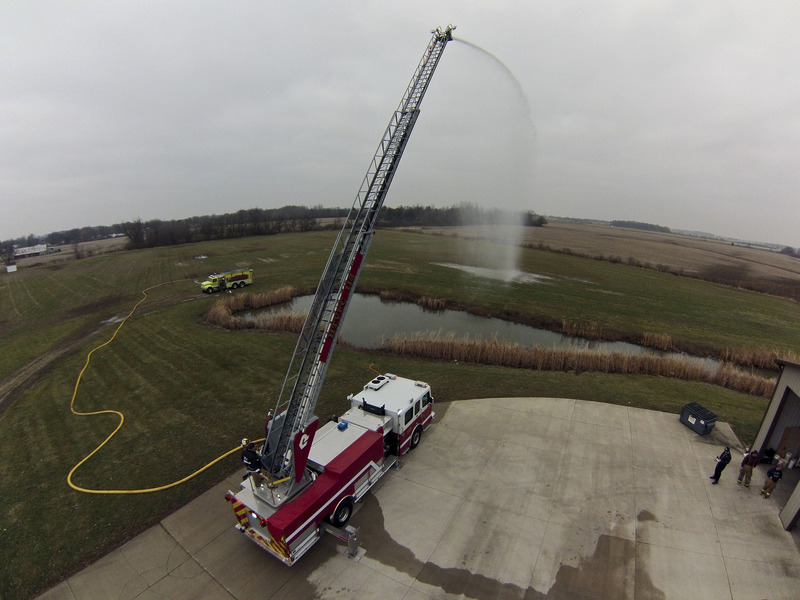 On June 4, firefighters sprayed down his DJI Phantom with water, not once, but twice, while he was trying to film. An upstate New York man got an unpleasant surprise last week when firefighters tried to shoot his drone out of the sky with a water hose as he attempted to video them at work. John Thompson said he wants the Coldenham Fire District to pay for the drone that was completely destroyed on June 4 when firefighters sprayed it with a water hose twice after he was caught trying to film them, News 12 reports. ‘They need to take on more responsibility and worry about their job instead of worrying about what’s out there around them because there’s cameras all over the world,’ Thompson told the station. Firefighters from Montgomery and Coldenham were working to put out a house fire when Thompson flew his drone over the property to film, CNET reports. Another case of somebody doing something unwise and complaining when it goes bad. While the fire department may have deliberately hosed his phantom which they should not have done, the operator of this rig has at least as much culpability in this scenario in not more. First. He is flying over hones and people. Second. He is endangering the lives of fire fighters below. Yes it was made made more dangerous by the firefighters actios. There is plenty of blame to go around in this one. Remember safety and responsibly or we all loose.